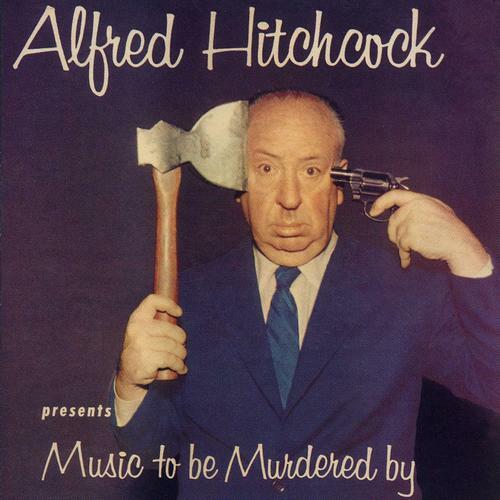 Music To Be Murdered By is a 1958 release of easy listening music, paired with narration by Hitch himself between the songs. 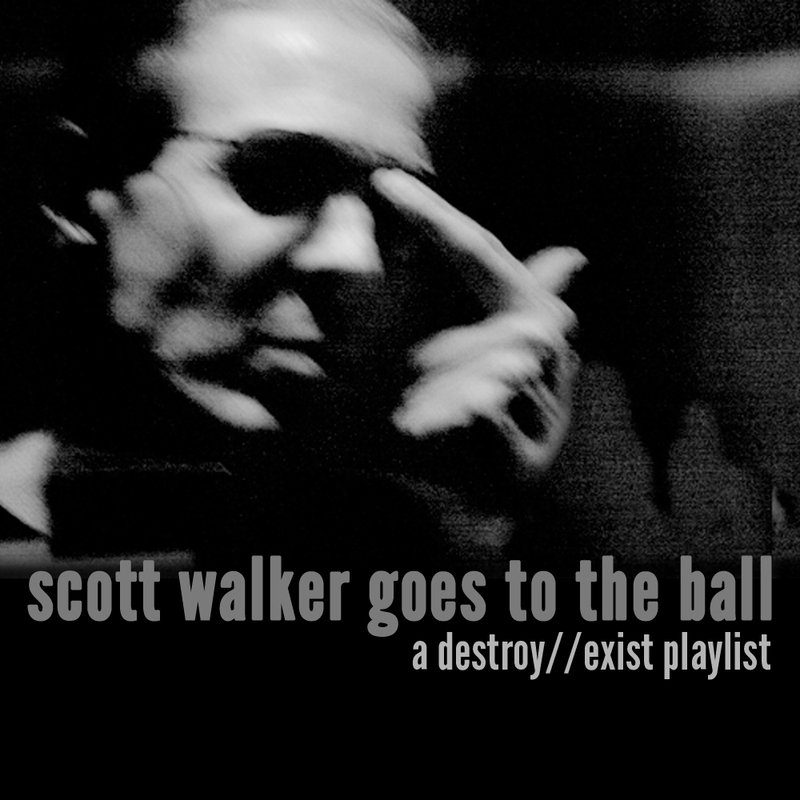 Musically it’s driven by Jeff Alexander and we only consider this as a compilation because of the standard well-known songs that are featured here, such as I’ll Never Smile Again, After You’ve Gone and Lover Come Back To Me. There’s some dark humour alongside the incredible music, that makes this record a great Halloween pick. 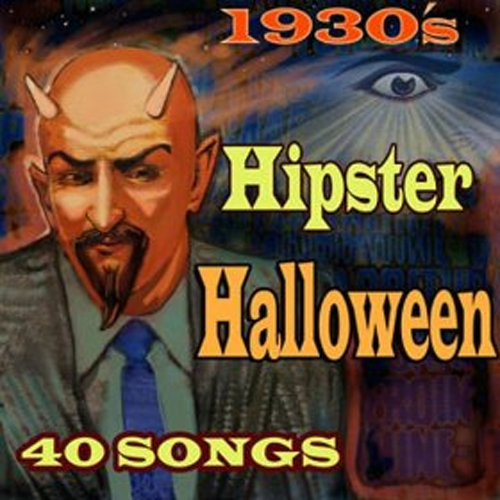 Hipster Halloween was released in 2011 by Rockbeat Records and it includes mostly big band, jazz and blues songs from the 1930s, together with a few newer ones from the 40s and the 50s. There are 40 songs here in almost 2 hours of music, making a breathtaking collection of old times’ classics and rarities. The second Halloween compilation by Snowbeast Records, Gatherings, is still very fresh in my memory and tough to categorize and place it on the list, but so far I like it as much as last year’s Rituals. Both albums are available for free download at the label’s Bandcamp, so there’s a nice Halloween treat. Remember to read the brief prose too, it will definitely get you in the right mood and if you dig it enough, buy them on a limited edition run on cassette for $6. 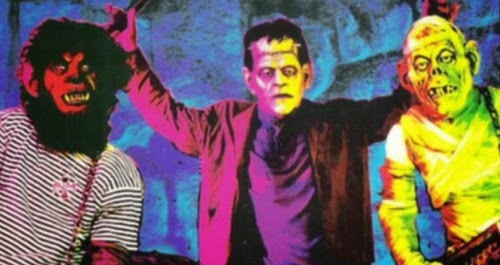 Almost half of the tracks on this album are simply named Halloween. 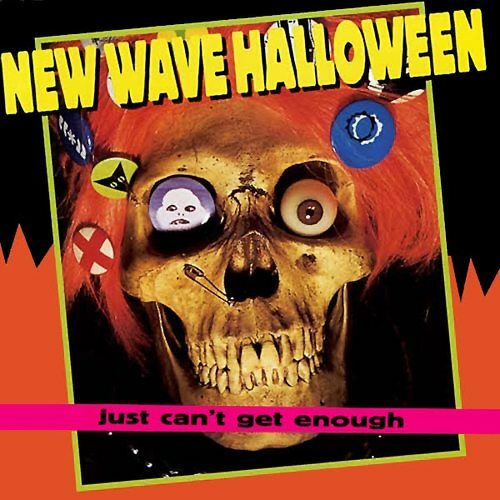 Not limited to the New Wave sound, but including also heavier bands such as Mudhoney and punkier ones like The Ramones and Misfits, New Wave Halloween was released in 1998 by compilation and reissue expert label, Rhino. 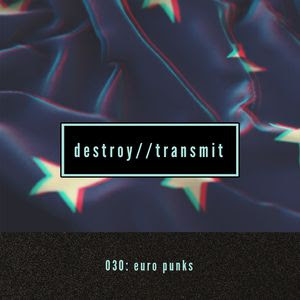 It is subtitled Just Can’t Get Enough, though there’s no Depeche Mode on it and it includes some of the most safe and standard selections an alt-rock compilation album about Halloween can have, but there are no fillers here, making this is one of the most solid entries on our list. 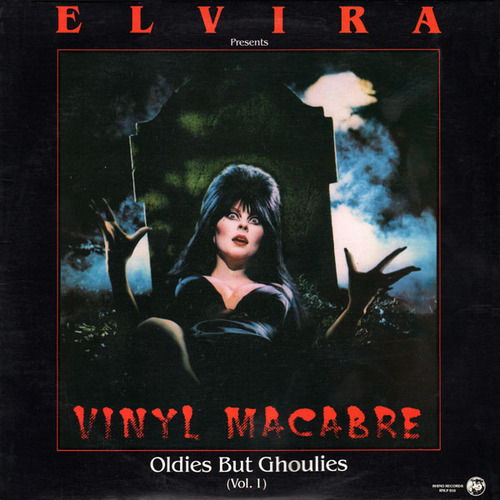 Elvira’s most popular Halloween compilation ever, released in 1988 was advertised at its front cover as "The Greatest Rock ‘N’ Roll Horror Songs Of All Time!" and it indeed features classic tracks by the likes of Sheb Wooley, Ray Parker Jr., Alice Cooper, Oingo Boingo, Screaming Jay Hawkins, LaVern Baker, The Cramps and more, as well as Elvira herself in a great track called Full Moon that closes the record. 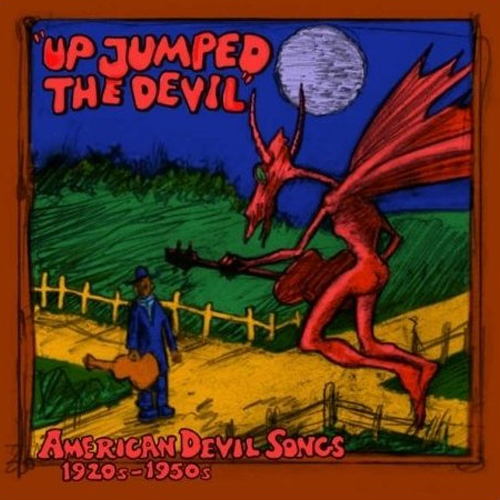 20 songs spanning four decades, from the 1920s to the 50s, all talking about the Devil and featuring all kinds of popular music from that era: folk, gospel, blues, jazz and rock ‘n’ roll. Gene Vincent, Screaming Jay Hawkins, Otis Spann, Robert Johnson, Skip James, The Clovers, Bessie Smith and so many more greats are included here. 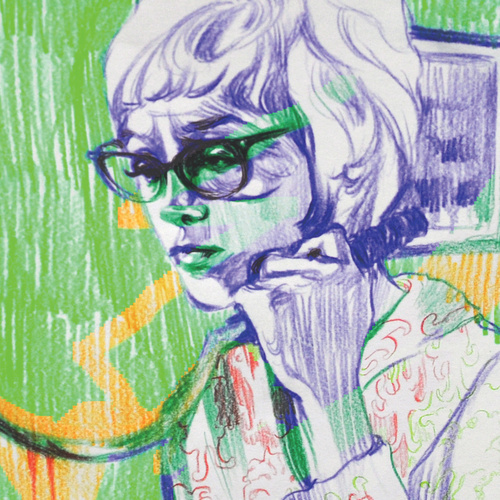 Even when it’s not any near Halloween, Up Jumped The Devil is one of those anthologies you’d like to keep spinning on your playlist. It was 1983 and it was not only the first compilation Elvira ever put out under her name, but the very first Halloween themed compilation Rhino ever released. Rhino and Elvira collaborated again over the years for three more of these, but even if it includes way less tracks than the albums that followed, the charm of Vinyl Macabre has been unbeatable. 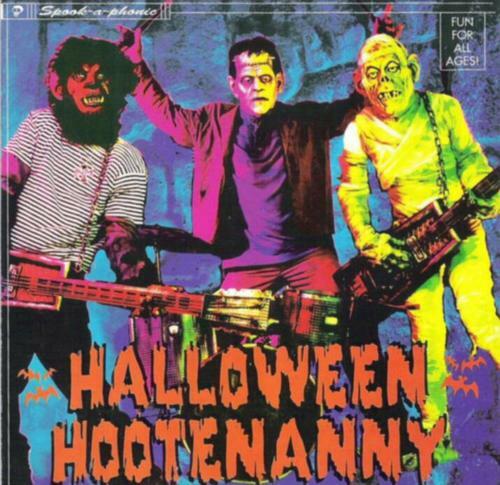 One of the four records Rob Zombie’s Zombie A-Go-Go label ever produced, was Halloween Hootenanny, released in 1998. 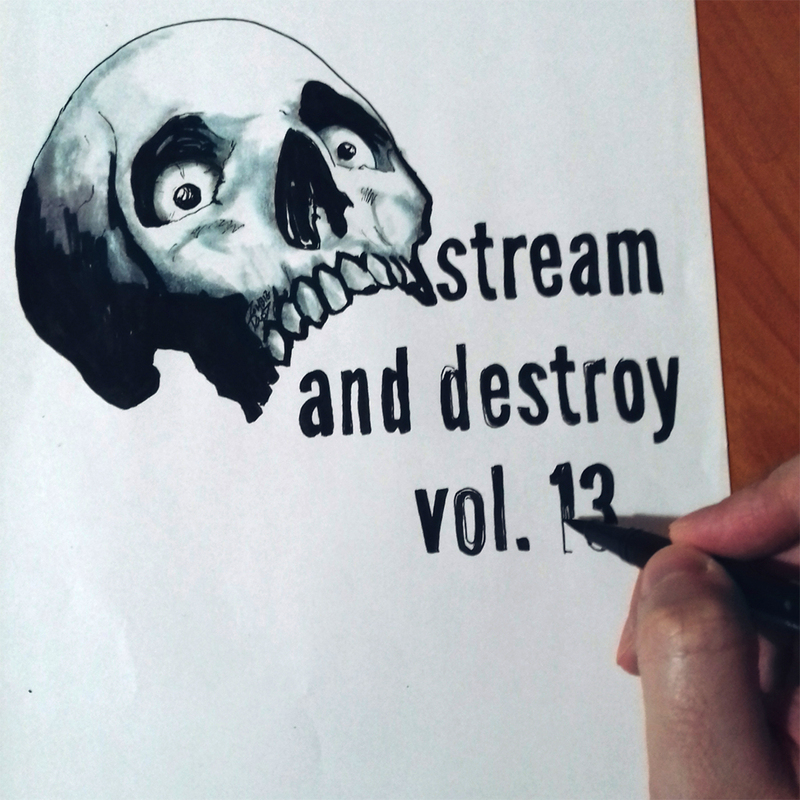 Punk, surf, rockabilly tracks and some amazing cuts from horror legend, Zacherle, this compilation is the best example of modern day bands keeping alive the old times’ spookiness. A great introduction to get you further into the catalogs of The Reverend Horton Heat, The Bomboras, The Swingin’ Neckbreakers, Los Straitjackets, Dead Elvi, etc, all such amazing, very energetic bands. 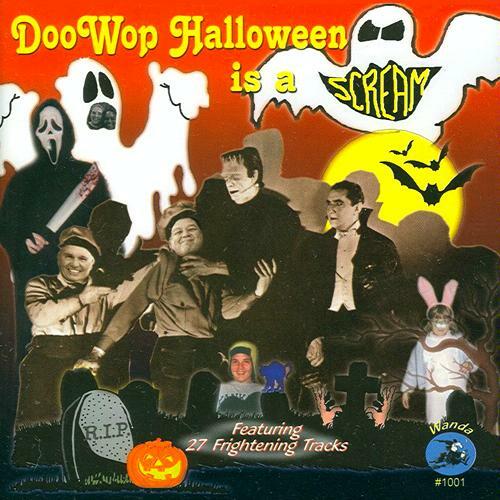 When this compilation came out around 2005, Ace Records plugged it as the “definitive Halloween” compilation and that’s not too far from the truth. 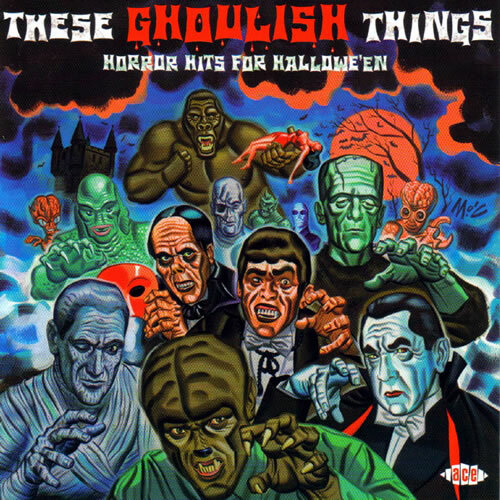 TGT is one of the best Halloween themed records you could get your hands on, featuring timeless classics (Monster Mash, The Munsters Theme) as well as great and much fun rarities. Among the highlights are a couple of radio plugs of that time from Bobby Boris Pickett, promoting the release of Monster Mash. Super-fun record from start to finish! It’s possible that you couldn’t keep count with the highlights on this album. This is more than just a novelty record. 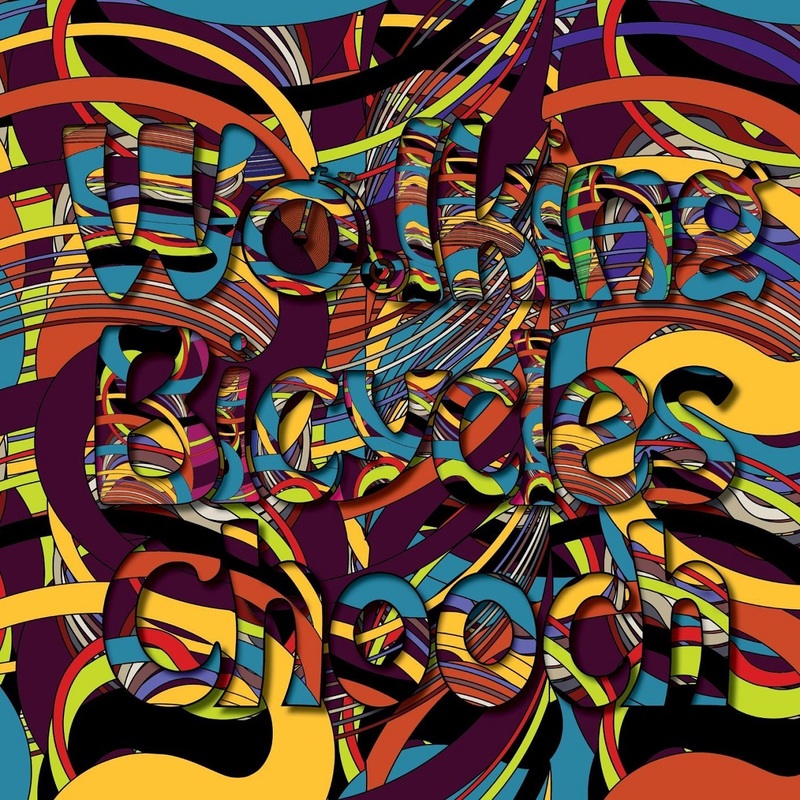 27 tracks, some of which are original doo wop classics from the 50s and some are newer recordings, but you’ll definitely be scratching your head for a while about which is what.